We are UK’s leading ice tea wholesale supplier, supplying over 3500 clients inside London and loads of other clients around UK with quality ice tea. We supply all kind of ice tea to a wide range of facilities including shops, hotels, restaurants, cafes and many other facilities. We have wide range of wholesale ice tea products ready to be delivered to you. Arizona Blueberry White Tea 6 x 500ml Product DescriptionAriZona’s first whit..
Arizona Green Tea with Honey 6 x 500ml Product DescriptionAn AriZona classic f..
Arizona Pomegranate Green Tea 6 x 500ml DescriptionThe Pomegranate, commonly known .. Product DescriptionThis delicious Acai-Berry & green tea will stimulate your mind. Asian soc.. Product DescriptionThis delicious Goji-berry & green tea will stimulate your mind. 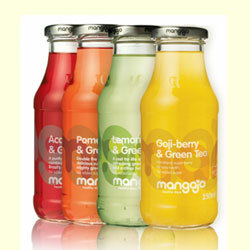 Asian soc..
Mangajo Lemon & Green Tea 12 x 250ml Product DescriptionThis delicious lemon &a.. Product DescriptionThis delicious pomegranate & green tea will stimulate your mind. Asian so..
Mangajo Yuzu & Lemon Tea 12 x 250ml Product DescriptionThis delicious lemon &am..